Navionics Pro Edwin Evers, an 11-time B.A.S.S. winner, 13-time Bassmaster Classic qualifier and 3-time runner-up for Toyota Bassmaster Angler of the Year honors, has won the 2016 Bassmaster Classic held on Grand Lake O’ The Cherokees in Tulsa, Oklahoma. The long-time professional bass angler and Navionics Pro caught an incredible 29 pounds, 3 ounces of bass on the final day to push his three-day total weight to 60-7 earning his first ever Classic victory. “Navionics extends its congratulations to Edwin for this prestigious victory,” said Paul Michele, sales manager, Navionics. “Edwin is constantly updating his Navionics charts to help put fish in his boat. 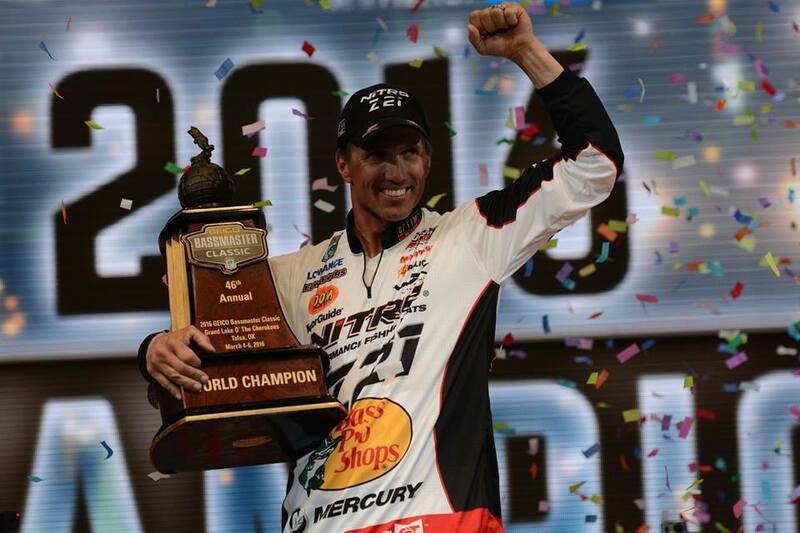 Now, with the new distinction as winner of the Bassmaster Classic, we share in the excitement of his big win while using Navionics charts to give him that great competitive advantage.” “The difference in bass fishing is so finite between losing and winning that I depended on Navionics detailed contours to give me that 29lb bag to win!” stated Edwin after his victory. We wish Edwin continued success and the best of luck in future competitions! Edwin uses Navionics+ to identify fish holding structure and transitions that hold bass. The Navionics+ card provides him with all US and Canada coverage, 18,000 lakes and growing with 1 ft HD contours, and daily updates for one year. Tournament and serious recreational anglers demand the greatest level of detail and accuracy from their charts and Navionics detailed lake maps provides anglers with unparalleled information on bottom features that hold fish and the best path available to reach them. Edwin states,“Updating is crucial for the most recent detailed contours available whether changes from flooding rains or even just a couple contour changes that give me the best advantage to catch more and bigger fish.” Edwin consistently updates his card where the SonarChart™ 1 ft HD bathymetry map reflects ever-changing conditions. 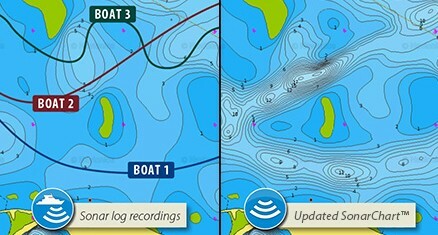 All users benefit from the enhancements made by the community as Navionics integrates the sonar logs from individual boaters using all major plotter/sounder brands and mobile devices, allowing users to improve any areas they desire. In addition, the charts include information on local amenities, such as marinas and boat ramps to improve fishing excursions for all anglers. The Navionics+ card provides an overwhelming value for cruising, fishing and sailing! It includes marine and lakes max detailed cartography for all US and Canada at $199. If you already own a chart card from Navionics or other brands like C-MAP, Fishing Hot Spots, Garmin, LakeMaster, Lowrance, Magellan and TrakMaps, you can update and upgrade to Navionics+ for half price by purchasing the Navionics Updates card for only $99 from your favorite dealer. Then go to navionics.com and follow the instructions to activate your new Navionics Updates card with your old card to get all Navionics+ content and services!